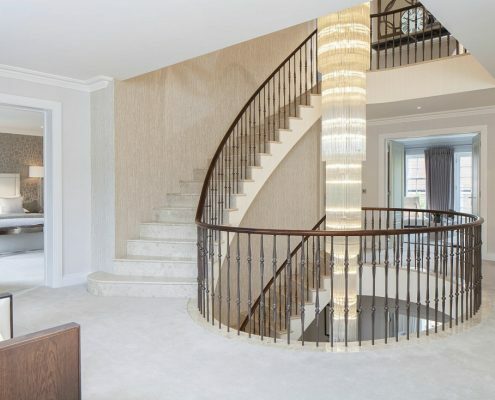 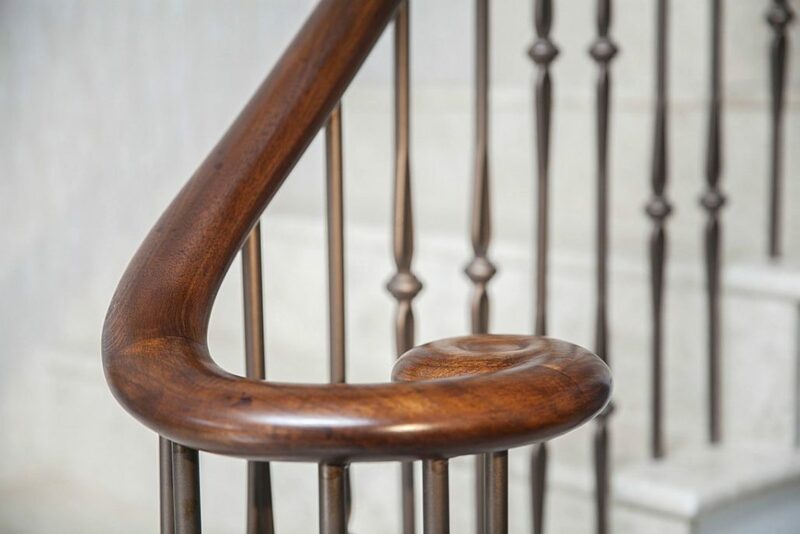 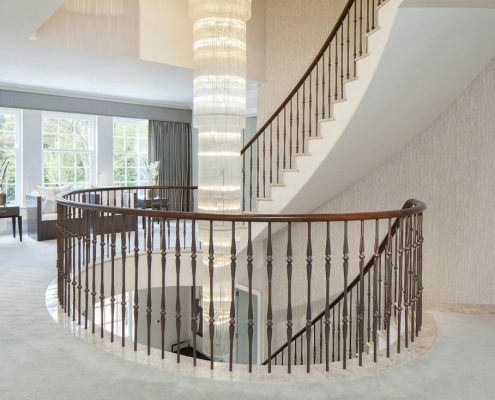 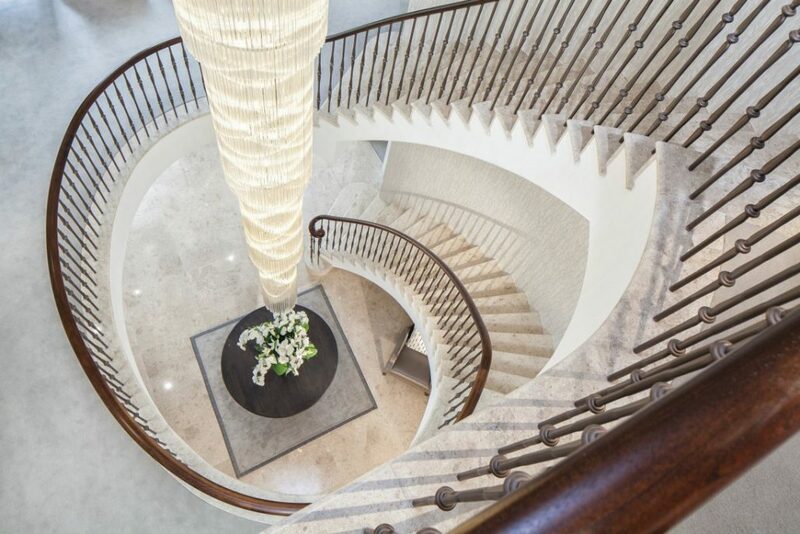 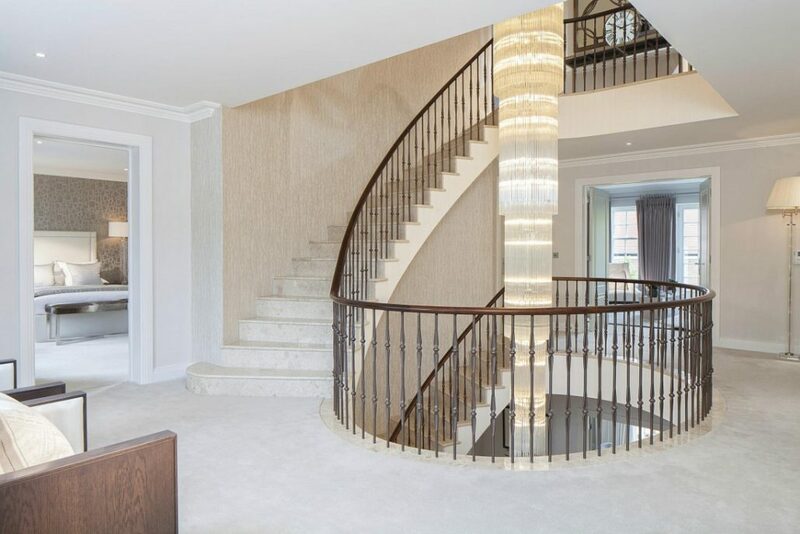 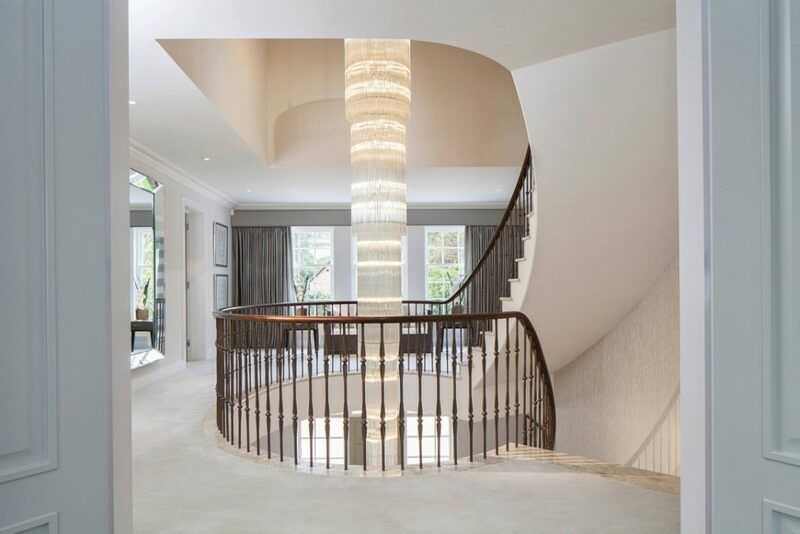 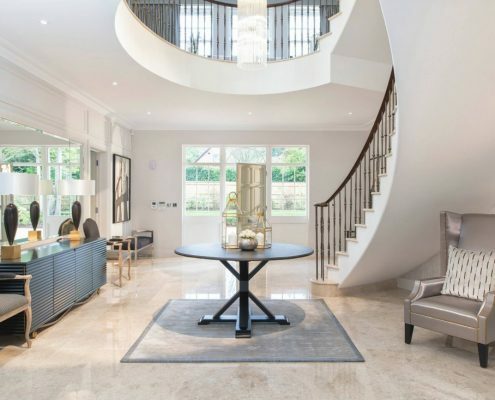 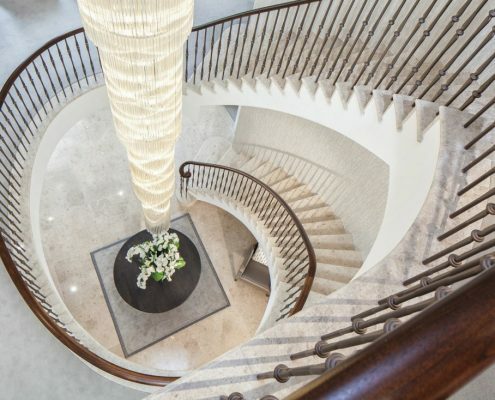 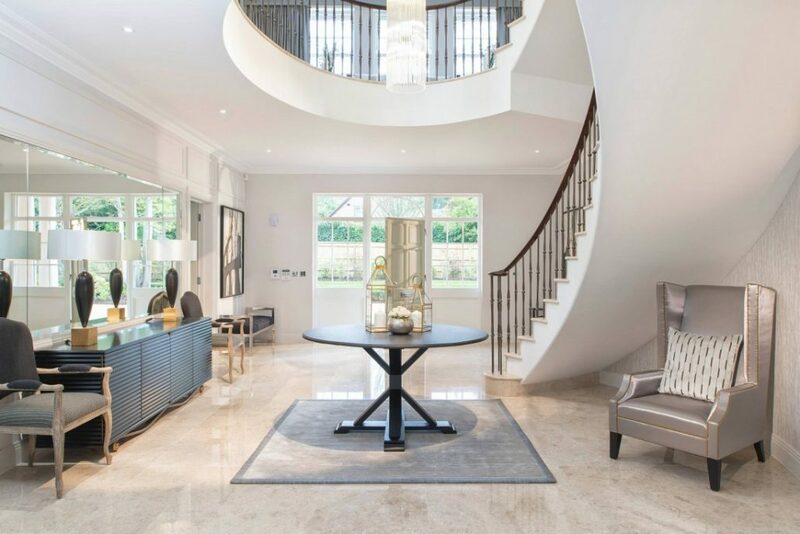 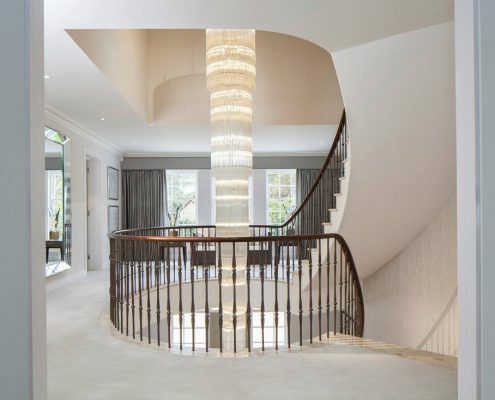 We were asked to create a stunning walnut handrail on a supply only basis for our customer in Ascot – manufacturing with absolute precision to ensure a fast, efficient installation. 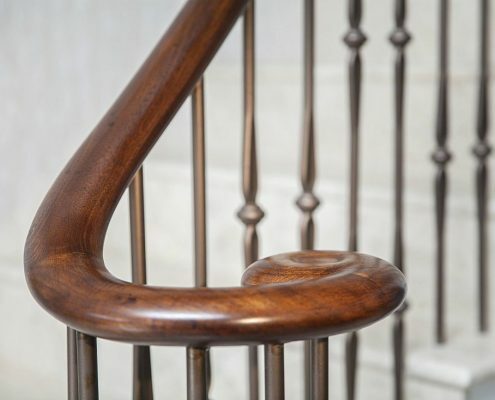 Our team surveyed the top of loose steel spindles instead of a more traditional core rail which left us with no margin for error, when cutting each part to the correct length and completely pre-assembling the handrail in our 6000 sq foot factory before delivering to site. 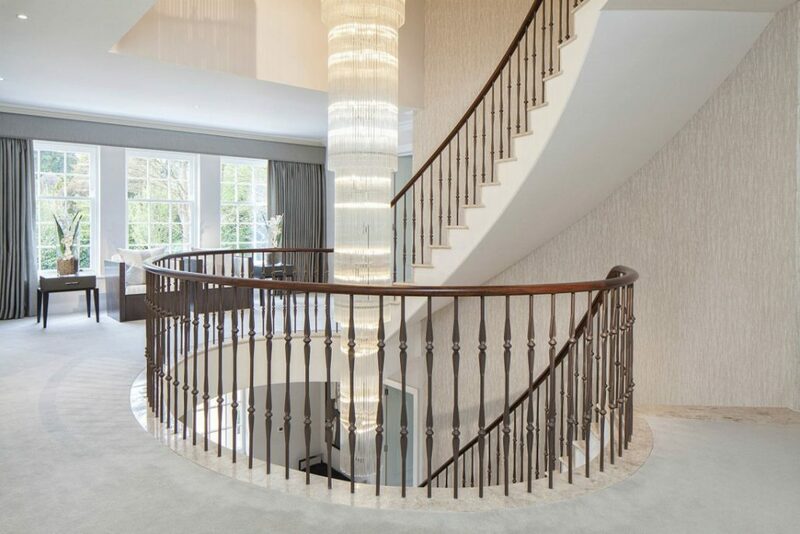 Pre drilling the handrails saved considerable cost and time of fabricating a steel core rail, and retained the contemporary look our client desired.